26 Aug 2017 - Medals & full results. 26 Aug 2017 - Day 5 results. 25 Aug 2017 - Day 4 results. 24 Aug 2017 - Day 3 results. 23 Aug 2017 - Day 2 results. 22 Aug 2017 - Day 1 results. 19 Aug 2017 - Marathon results. 17 Aug 2017 - Team send-off. 22 Jul 2017 - SEA Games, ASEAN Para Games official flag presentation ceremony. 18 Jul 2017 - Team Singapore (Athletics) Selected Athletes. 31 Jul 2016 - Page posted. The brief schedule/venues of the 2017 SEA Games above are tentative and may be subjected to changes. For the latest copy, check the official website. Criteria updated and accurate as of August 30, 2017 at 4:03 pm. Athletes (individuals / teams) who achieved at least 3rd placing e.g. time/distance/score/mark of the 2015 SEA Games, will be considered. Athletes/Teams who miss the qualifying standard marginally, but show potential to equal or surpass it in time for the Games may be considered on a case-by-case basis. a. Individual events: the athletes will be ranked accordingly in their own event. SAA will select a maximum of 2 athletes for each event. In the event where there are more than 2 qualifiers and there is a tie, SAA will conduct a trial between the qualifiers between 1st to 31st May 2017 to select the final two. The current form of athletes is of utmost importance and SAA reserves the right to select the final two athletes to represent Singapore at the Games. Factors such as past performances and future potential will also be considered. b. Team events: Relay Selection (4x100m and 4x400m) – One team for each relay event. Six athletes (including 2 substitutes) may be entered for each relay. i)	For the selection of the final 6 runners, SAA will organise races for the athletes in the relay training squad to run together under the same race conditions. A final run-off will be conducted between 1st to 31st May 2017 to select the final 5 / 6 runners. ii)	Factors such as 80% attendance, attitude, and commitment at relay trainings, ability to work well with others and previous performances (e.g. 100m, 200m and 400m) will also be considered. iii)	The final 4 to race for the relay event will be decided by SAA. a. All achievements submitted for consideration should have taken place at SAA/IAAF sanctioned championships and trials, but athletes may submit the achievements from overseas championships and meets of athletes studying in overseas tertiary institutions. However, these have to be properly accredited and sanctioned to be accepted. (Email SAA) to be accepted. b. Achievements from overseas championships have to be properly accredited and sanctioned to be accepted. For Marathon / road races: results from only IAAF Gold label races or AIMS certified-standard competitions will be accepted. (Email SAA) to be accepted. c.	For 100m, 200m, 100m /110m hurdles, long and triple jump events - Only performances with legal wind-speed will be accepted. 4. Athlete must be a Singapore Citizen at the time of nomination. 5. Final list of selected athletes will be finalised by 15 June 2017. 6. Athlete / Team, who have qualified during the period 1August 2016 to 31December 2016 for their individual event based on 2015 SEA Games 3rd placing mark, must do a performance test in any SAA sanction competition during the period from 1 January 2017 to 31 May 2017. Performance test: Athlete / Team must achieve a performance of at least 97% of the 3rd placing of the 2015 SEA Games based on IAAF points at least at one sanctioned competition, to be considered in the final team (refer to table 1). For this purpose, in the case of Full Marathon event, athletes will be allowed to enter in a sanctioned Half Marathon or 10km track\road race. However, for Half marathon or 10km track\road race, the performance must at least be 100 per cent performances based on IAAF points. Men – Half Marathon - 1:12:30, 10 km track/road race - 32.57. Women – Half Marathon - 1:25:54, 10 km track/road race - 39:23. 7. SAA reserves the right to drop any qualified athlete any time before the Games, if the athlete is deemed unfit (injured/declining performance/upcoming performance from another athlete as well as factors such as attendance, attitude and commitment at training, ability to work well with others, misconduct) to perform at a competitive level. 8. 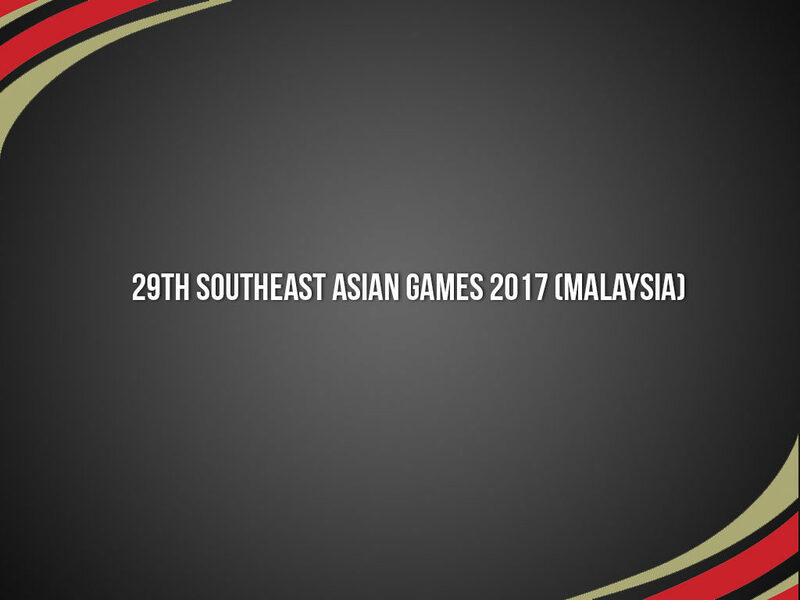 The Final Selection for training squad / final team for SEA Games 2017 will be decided by SAA Selection Panel and approved by SNOC. a)	The appeal process concerning non-selection or removal from the national squad to be heard by SAA Appeals Panel (Headed by Dr Tan Ming Jen & committee). Send the appeal to SAA. b)	The sole ground for any appeal are that this selection policy was not properly followed and/or implemented. i. The SAA Appeal Panel will convene a hearing as soon as possible after the submission of the grounds appeal. The hearing may occur in such manner as the President of SAA or Dr Tan Ming Jen decides, including telephones or video conferencing. The SAA Appeal Panel is not bound by the rules of evidence but must observe the principle of procedural fairness. ii. Prior to the hearing, the Selection Panel will provide the SAA Appeal Panel and the appellant with a written statement as to the reasons for the decision against which appeal is made. iii. The SAA Appeal Panel will give its decision as soon as practicable after the hearing and will provide SDP and the appellant with a statement of the reason for its decision.